Next week's additions to the various Rock Band Music Stores are riding on a new wave, with five tracks from Rock and Roll Hall of Famers Talking Heads. Cue excitement on my part as some of the Talking Heads songs I would actually like to play join the previously released "Psycho Killer" on the Rock Band Music Store for the Xbox 360 and the PlayStation 3. 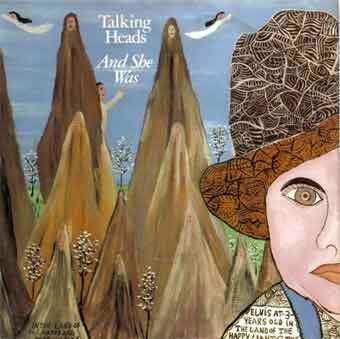 "Psycho Killer" is a fine song, but for me nothing says Talking Heads quite like "And She Was," "Once in a Lifetime," or "Take Me to the River." "Crosseyed & Painless" and "Girlfriend is Better" round out the Talking Heads Pack 01, available next week for $8.49 or 680 Microsoft points. Additionally, tracks from Avenged Sevenfold, Oasis, The Jam, and Rage Against the Machine will also be included in next week's PS3 and 360 releases. Scroll down for a full list of tracks coming to the Xbox 360, PS3, Wii, and PSP versions of Rock Band. Note that Wii songs marked with an asterisk are only $1, or half price, and paying $1.99 for a Rock Band Unplugged song still seems a little steep to me. · Avenged Sevenfold – "Bat Country"
· The Jam – "A Town Called Malice"
· The Jam – "Going Underground"
· Rage Against the Machine – "Guerilla Radio"
· Talking Heads – "And She Was"
· Talking Heads – "Crosseyed & Painless"
· Talking Heads – "Girlfriend is Better"
· Talking Heads – "Once in a Lifetime"
· Talking Heads – "Take Me to the River"
· Billy Idol – "Mony Mony"
· Billy Idol – "Rebel Yell"
· Fleetwood Mac – "Don't Stop"
· Fleetwood Mac – "World Turning"
· Jet – "She's a Genius"
· Tom Petty – "I Won't Back Down"
· Tom Petty – "Runnin' Down a Dream"
· Judas Priest – "(Take These) Chains"
· Judas Priest – "Bloodstone"
· Judas Priest – "Devil's Child"
· Judas Priest – "Fever"
· Judas Priest – "Pain & Pleasure"
· Judas Priest – "Riding on the Wind"
· Judas Priest – "Screaming for Vengeance"
· Judas Priest – "The Hellion/Electric Eye"
· Judas Priest – "You've Got Another Thing Comin'"
+ Franz Ferdinand – "Lucid Dreams"
+ Guns N' Roses – "Riad N' The Bedouins"